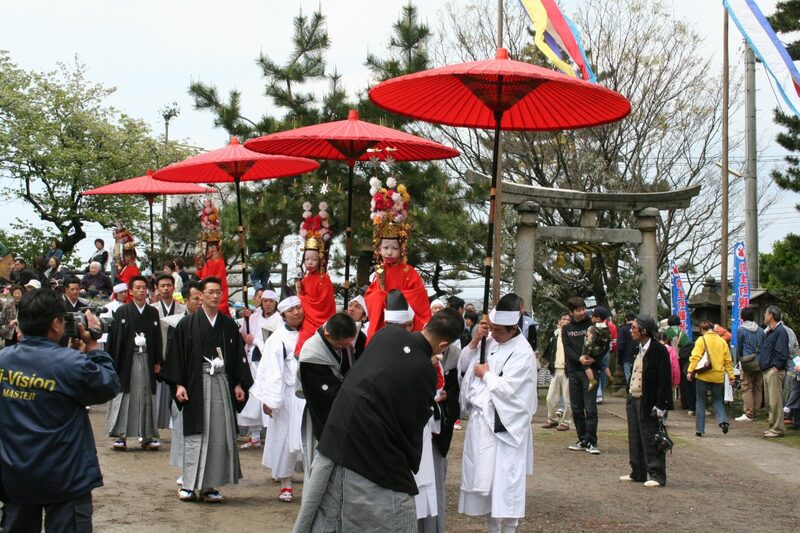 The Nou Hakusan Shrine Spring Grand Festival (Nou Festival) is held every April 24th at Nou Hakusan Shrine in Itoigawa City’s Nou Region. 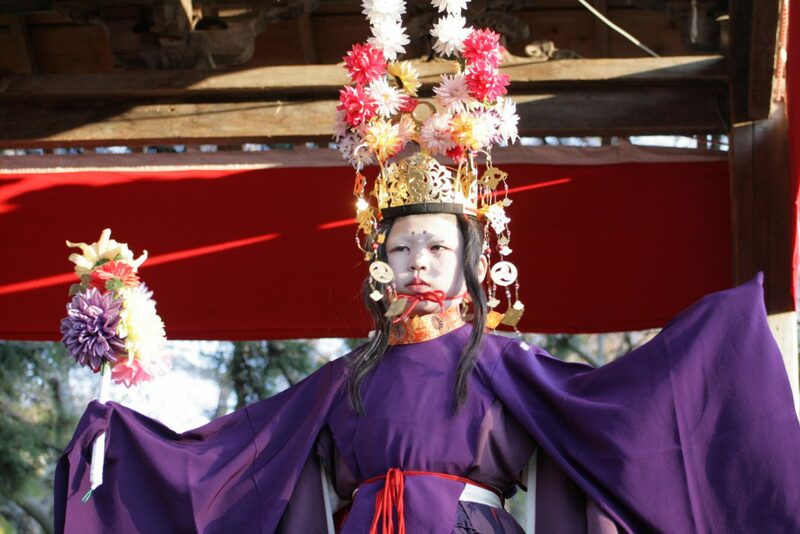 It began in the 15th century and centers around 11 bugaku, a type of ceremonial Japanese court dance. The festival starts with the Shishimai or Lion’s Dance. Two men dressed as mythological lion dance around in front of the festival procession as it makes its ways into and around the shrine grounds. Starting around noon, the festival explodes with energy as the Running of the Shrines begins. Three mikoshi portable shrines are carried on the backs of teams of young men who run them in circles around the shrine grounds to ceremonial music. As the atmosphere calms following the Running of the Shrines, the first bugaku dancers take the stage. 11 different bugaku court dances are performed by adults and children, some as young as 4. 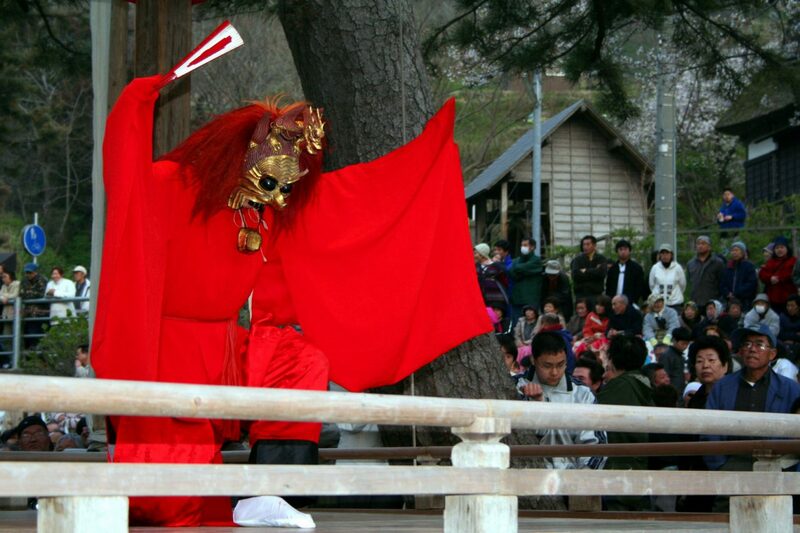 These dances culminate in the dramatic ‘Ryo’o-no-Mai’ dance performed in the light of the setting sun. Held April 24 from 9:00 a.m. to 5:00 p.m.